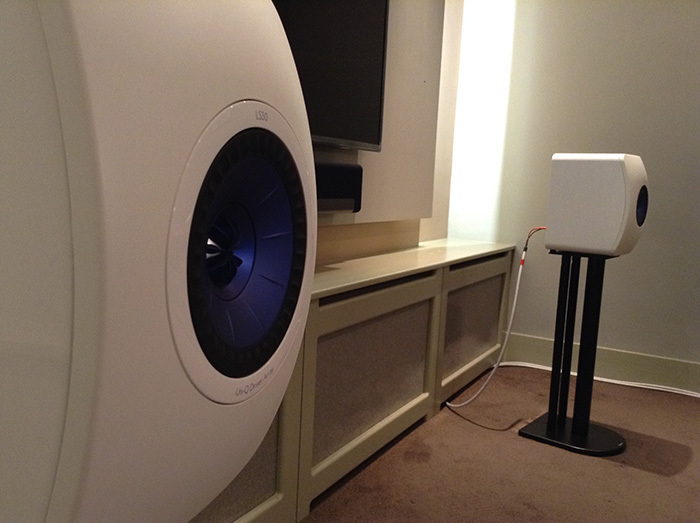 KEF's LS50's Continue To Impress And The Scale Of The Sound Belies Their Size! The KEF LS50's are unlike many other bookshelf speakers, the LS50's create a surprisingly large image for such a compact design. The shape of the front baffle, custom Uni-Q driver, flexible elliptical reflex port and heavily braced cabinet all contribute towards a huge, highly detailed and neutral soundstage. The best thing about the LS50's has got to be their ability to almost disappear. A certain transparency that enables you to just sit back and enjoy the music, without the listener being overly aware of their HiFi; a trait only a select number of speakers possess.